Gail Penberthy has done it again with a great project to make for Christmas. They are made from felt and have a three dimensional quality to them, however, it is easy to make. They measure approx 6 inches excluding the ribbon.Gail has also designed a larger version of this project which is another pattern called Christmas Wreath. 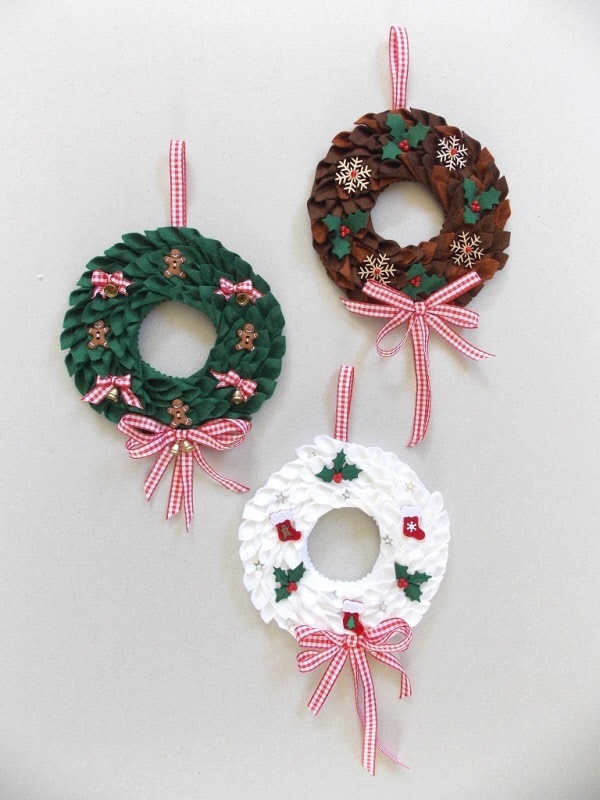 The kit includes all felt, buttons, pelmet vilene, ribbon and pattern to make the WHITE wreath.